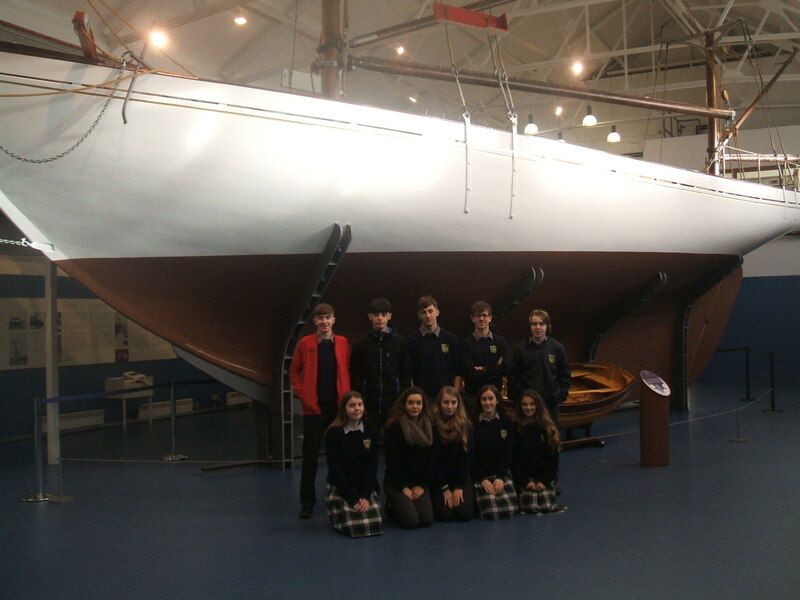 One half of our TY year, TY1, went on a trip to Dublin as part of their TY History Module. First stop on the trip was a visit to the National Museum in Collins Barracks. The highlight here was seeing something they had only read about in their Junior Cert history books, that is, the ship which carried out the Howth Gun Running on 26th July 1914, the famous Asgard, owned by Erskine Childers at the time. 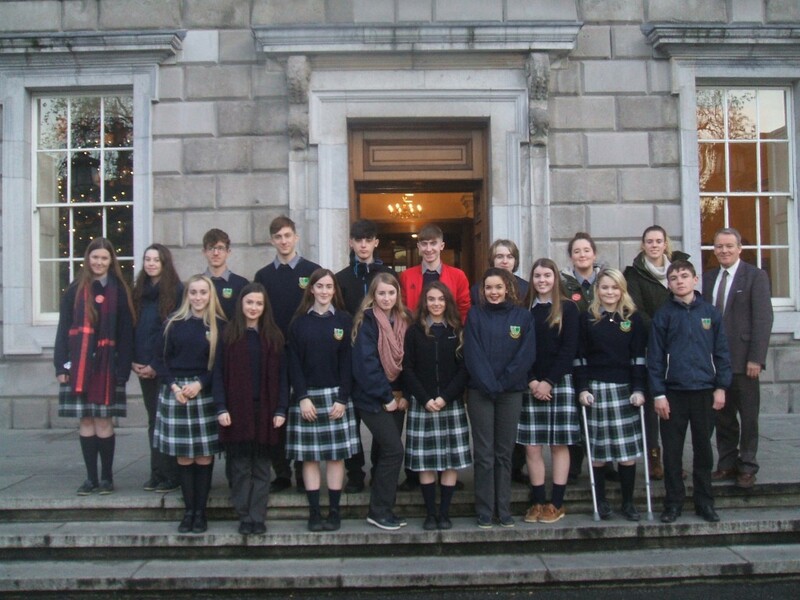 Afterwards, the group journeyed to the National Museum in Kildare Street to take in the Irish Treasures it had to offer before reaching their final destination of Leinster House. There they were met by the Laois/Sth Kildare TD, Brian Stanley, who had organised the visit in consultation with their TY History teacher. A guided tour of Leinster House followed, with the group spending some time in both the Upper and Lower Houses, the Dáil and the Seanad, seeing a number of important TDs, Ministers and Senators in action: Richard Boyd Barrett, Eamon Ryan, Dr James O’Reilly, Simon Harris and Brian Stanley himself. The tour finished off with refreshments in the exclusive Dáil restaurant, and were most heartily appreciated, courtesy of Mr. Stanley.